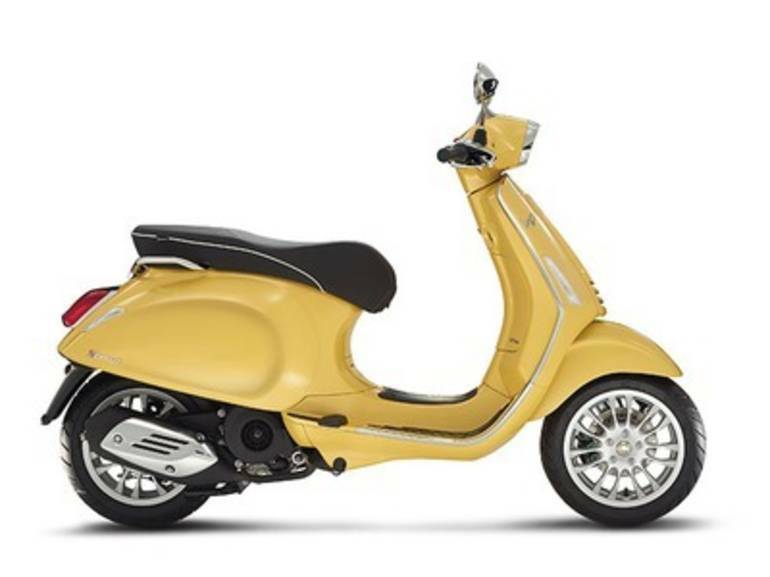 Do you Vespa?Features May Include:The return of the legendary "Vespino"The brand new sprint is the most sporty and dynamic Vespa "small body" available. 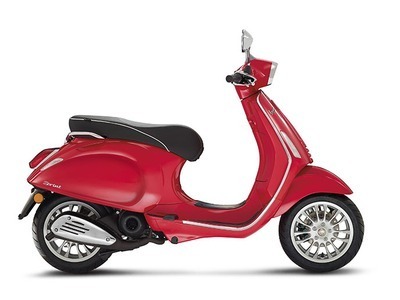 Its name recalls concepts which are intimately tied to the sporty vespas of the '60s and '70s. The new Vespa sprint embodies the heritage of the fastest and most youthful Vespas, providing those same essential and indispensable elements that made it so successful with young people such as the sport design saddle and the rectangular headlight, details which the Vespa sprint shares today.New look and feelCreated to blend Vespa style with a sports mood and an exhilarating ride, the Vespa sprint now offers new solutions that provide performance to more than match expectations. Bigger, newly designed wheels to provide better feel and riding pleasure along with complete control over the scooter. A unique style that includes some great new features: the rectangular rear light cluster is inspired by the unforgettable Vespa special from the sixties, the redesigned saddle offers improved comfort. There are now handles for a passenger not to mention the renewed look of the bodywork and finish and more effective mirrors.Decisive urban styleIn the frenetic world we live in, you need a strong personality to stand out from the crowd and make your mark. The Vespa sprint has the unmistakeable charisma of Vespa tradition, a global icon of style and symbol of the italian lifestyle that blends elegance and a love of life. The distinctive design that led to the success of the Vespa range has been given a new lease of life with the sprint which enjoys the Vespa heritage to become leader in the “small body” segment. The flowing lines and smaller dimensions along with a mixture of solutions and renewed details create a maneuverable, punchy model that in revels in town traffic. All Vespa pictures are kind of Vespa HD motorcycles picture was taken, including motor fuel gauge, engine, engine mounts, tires, fuel tank, the car handles, lights and so on, 2015 Vespa Sprint 150 ABS 150 full-screen viewing,2015 Vespa Motorcycles today Price: $5,099 .